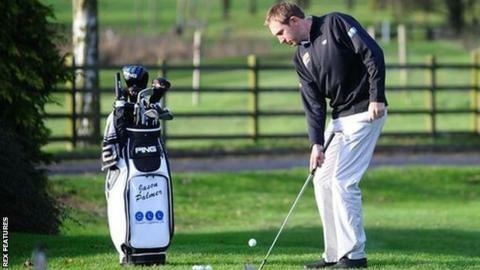 Leicestershire golfer Jason Palmer says he must accept his professional career is over because of a wrist injury. Palmer, 33, competed at the US Open in 2015, but has not played competitively for more than two-and-a-half years. He told BBC Radio Leicester: "My wrist is still not in a good shape at all. "I've been told that it's arthritis now and it is no problem in everyday life, but if I pick up a golf club I can't hold it the way I would like so it is looking like it is the end." Palmer had previously said he was on a deadline to start playing competitively on the European Tour again, or he would lose his card. The Leicestershire golfer has not played since missing the cut in Munich at the BMW International Open in June 2015 - a week after his career highlight, playing in the US Open at Chambers Bay.